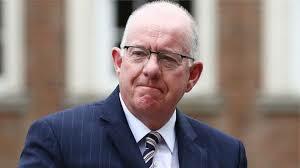 Bill to legalise killing of sick and elderly also expected to come before the Dail soon. If the referendum is carried, provocateurs will be free to speak sacrilegiously about God or sacred things, and mock anything to do with the Church. Last year, the Association of Catholic Priests took issue with some hurtful utterances and attitudes that had raised the ire of many people throughout the country. An insightful piece, ‘Don’t appeal to ‘blasphemy’ as a defence’, by Fr. Brendan Hoban, which later appeared on the Association’s website, is reproduced below. The writer, Clive James, defined blasphemy as mocking the sincerely-held religious views of people. It’s a fair definition. And even though many would believe that blasphemy as an offence shouldn’t be in the Constitution, it doesn’t give anyone the right to be so gratuitously offensive as Stephen Fry was, about a God whom he professes not to believe in, especially on a public broadcasting service. Though we shouldn’t be too surprised. We’re getting used to it – from the casual insults by commentators anxious to advertise what they imagine is some form of sophistication, to the anti-Catholic group-think so obvious in some publications, to the venom of individuals whose derision of Catholicism and by extension Christianity must surely emanate from some bitter personal experience. McGahern’s words explain to some degree the avalanche of abuse that rained down on the Sisters of Charity over the National Maternity Hospital controversy (though this is not my focus here) and why a record of selfless service of the vast majority of religious men and women is so easily expunged from public consciousness. His words explain both the growing religious intolerance of our society and the parallel effort, unviable and probably impossible, to build a secular society. Because religious faith is not a simple thing, especially if it deeply embedded in a society. The difficult truth for evangelical secularists like Richard Dawkins and Stephen Fry (and their supporters who quote them as if they were holy writ) is that the religious instinct is so ingrained in human nature that it is never likely to disappear, even when it’s derided and suppressed. And particularly so in societies like Ireland, steeped for centuries in religious vocabulary, emblem, and iconography, what McGahern memorably described as ‘part of the very weather of our lives.’ In an impoverished time, McGahern wrote, ‘the Church was my first book. It was my introduction to ceremony, to grace and sacrament, to symbol and ritual’. While my thoughts at the time were more focussed on Randolph Scott and going to the pictures on Friday night (in the school which doubled as a cinema) it’s the Stations of the Cross that are more deeply embedded in my memory. Another memory is the family rosary with, as the poet John Montague wrote, ‘Hail Mary dissolving into Holy Mary’ and ‘the steady drone’ deepening as the beads glide through the fingers. For Heaney, green rushes were a link into St Brigid and the crosses that decked rooms and houses; the buttercups on the windowsills became a mid-summer rite when memory of a pagan goddess morphed into the Virgin Mary; and at Christmas times candles blazed in the windows. All three – McGahern, Heaney and O’Donohue – went beyond the religious quest into areas at odds with the constraints of institutional Christianity and ended with a very individual view of the world, but the truth is we all do that in our own way. What happens is that we gradually refine our religious sensibility as some beliefs move into the background and others into the foreground as knowledge and experience produce a workable and authentic faith and we come to realise that this process of communal and individual selection is natural and inevitable, and not the collapse of some God-given scaffolding holding everything together. Part of this personal development is shedding infantile concepts at the heart of our religion, and refining what we believe in the complex crucible of experience and growth. While this process is often unfairly caricatured as an ‘a-la-carte’ approach to Christianity, the truth is that we are complex beings with individual and varied experiences, instincts, and personalities, and selection is the way we function as human beings. A one-size-fits-all notion of Catholic or Christian, while it may have its advantages in terms of institutional organisation and control, pays little respect to the complexity of the individual faith journey. In simple terms achieving an adult faith is an individual quest. Against the poetic sensibilities of McGahern, Heaney and O’Donohue, the populist rantings of those who have no sense of God (and no feel for the religious quest) like Christopher Hawkins and Stephen Fry are not just simplistic and patronising but insulting to those who treasure their religious faith and indeed to our intelligence. But rather than seeking to quell their voices by appealing to a definition of blasphemy in our constitution we need to take our arguments into the public square, despite the opposition of those who imagine that anyone criticising the Catholic Church in Ireland today is always right. Fine Gael and a bunch of other politicians and some women’s movements seemingly don’t like the clause – apparently, it doesn’t sit well with the image of the ‘new’ Ireland we’re hearing so much about these days, whatever it’s supposed to be. The referenda are scheduled to be rolled out in October. According to reports, a bill to clear the way for laws under which doctors will be legally empowered to put elderly and sick patients to death by lethal injection is to be placed before the Dail shortly. The practice, known as euthanasia, is common in EU states such as Belgium, home to the headquarters of the EU. The Belgian legislation which permits the lives of even those with mental illnesses or cognitive disorders, including dementia to be terminated, has been advanced in 2014 to where the life of minors can also be legally ended. A 17-year-old was helped to commit doctor-assisted suicide in 2016. Euthanasia is currently legal in three EU states: Belgium, Netherlands and Luxembourg. In Ireland, it is at present illegal for a doctor or anyone to actively contribute to someone’s death.